Would you like to help translate OTW/AO3 news posts? 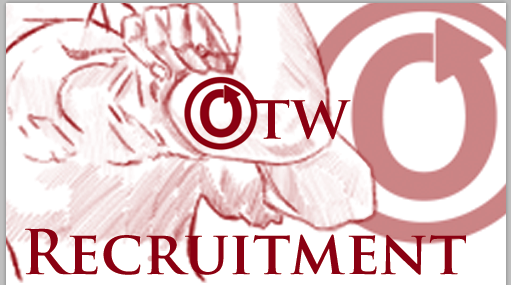 The Organization for Transformative Works is recruiting! We have included more information on the role below. Open roles and applications will always be available at the volunteering page. If you don't see a role that fits with your skills and interests now, keep an eye on the listings. We plan to put up new applications every few weeks, and we will also publicize new roles as they become available. Would you like to help translate OTW/AO3 news posts? We are looking for volunteers of native or near-native fluency in their target languages, who can translate or beta news posts within five-day deadlines. If you enjoy working collaboratively, if you're fluent in a language other than English, if you’re passionate about the OTW and its projects, and want to help us reach more fans all around the world, working with Translation might be for you! We particularly need people for Arabic, Bengali, Croatian, Czech, Filipino, French, Hebrew, Hindi, Hungarian, Japanese, Latvian, Malay, Marathi, Persian, Romanian, Slovak, Slovenian, Thai, Turkish, Ukrainian, Vietnamese and Welsh—but help with other languages would be much appreciated. Applicants may be asked to translate and correct short text samples and will be invited to a chatroom interview as part of the selection process. More information about us can be found on the Translation committee page. You need to apply at the volunteering page, not here. The link is at the bottom of the post. I hope that once I am fluent enough in my target languages I can apply. Thank you for everything you do. What about pt-br? Are you guys working on it as well?